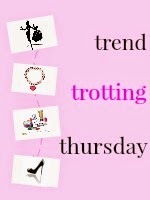 Today marks the 2nd week of my new style series- Trend Trotting Thursday. TTT is a biweekly series where the guest-blogger and I pick a trend and share our personal looks pertaining to that trend. We also discuss relevant Do's and Don'ts to simplify things further. Your opinion and suggestions are always welcome. 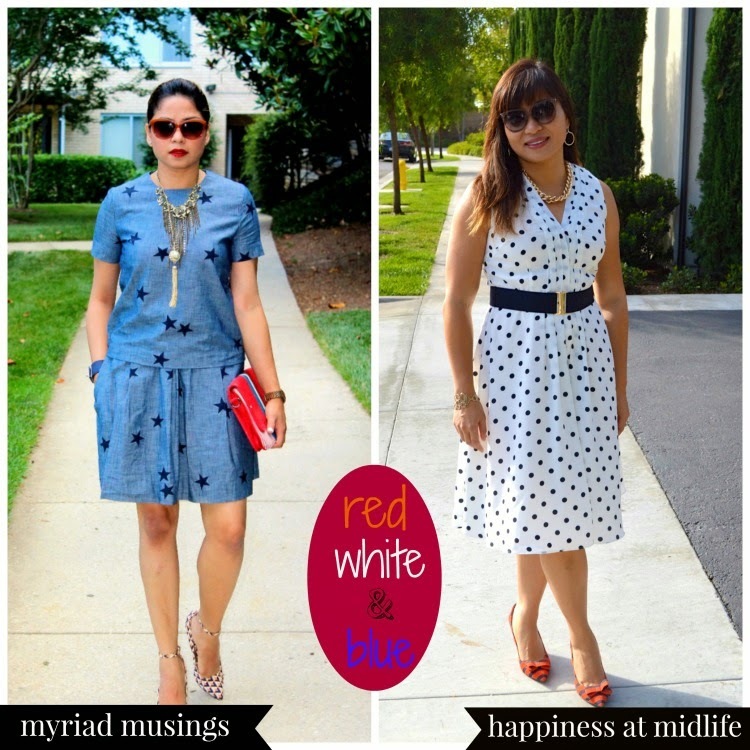 For this week, I welcome Alice from happiness at midlife to be my co-host and partner in crime in addressing the much hyped color of the moment -red, white & blue. It is a coincidence that we both chose one main color, white in Alice's case ..blue in my case, and then used the other colors as subtle accent pieces. For a more demure finish we added single-tone metallic accessories. With those printed pumps.....inadvertently we both are rocking yet another trend- print on print.....win-win ! So thanks to Alice for sharing her modish take on this color trend. I have to admit that I am completely sold on her dress. The effortless vibe to this dress got me hooked. Psst...letting you in on another secret " I am obsessed with Alice's red and blue stripe kitten heels and I already ordered this pair yesterday. " Thanks to Alice for influencing this purchase ;) and also for partaking in this style series. 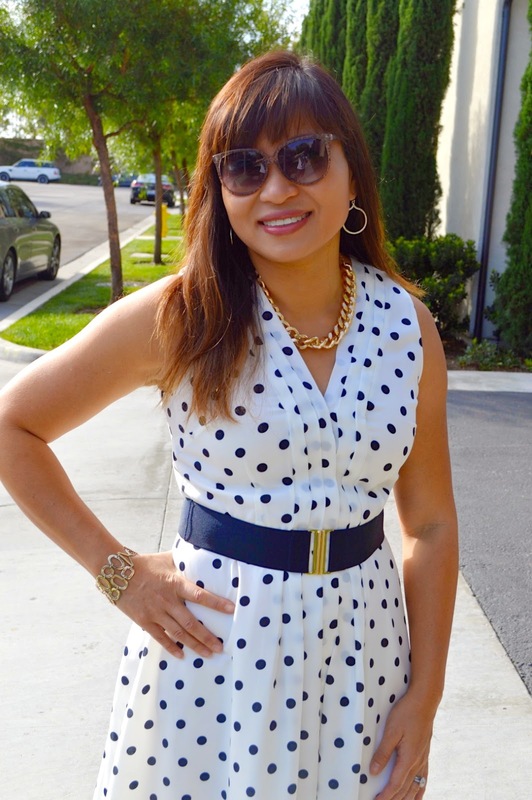 Focus on classic style pieces (think a red skirt, classic white button down with navy pumps). Don’t deviate from your office dress code. So if you normally don’t wear a tee shirt to the office, don’t wear one with an American Flag on it. It maybe patriotic but it’s not appropriate for your office. Incorporate this color mix in your anytime-of-the-year look. Shake things up.....there is no hard and fast day-specific rule to this 4th July color dressing. Have fun with this color mix. Mix and match different textures, patterns, prints.... give this trend your own character. Don't be disrespectful. I am empathetic of your enthusiasm for this color mix but no flag print please, especially not on your swimwear and undergarments ( please keep obscenity out the door ) . Respect the flag, it's your Country's National Pride..